The Bering 65 is a rugged and classic looking steel yacht capable of any ocean crossing. She runs silently, is strong and leaves a graceful wake underway. Her displacement is 107 metric tons and with 17.000 liters of fuel you can easily cruise for more than 5000 nautical miles, burning a mere 30 liters per hours at a cruising speed of 8 knots. 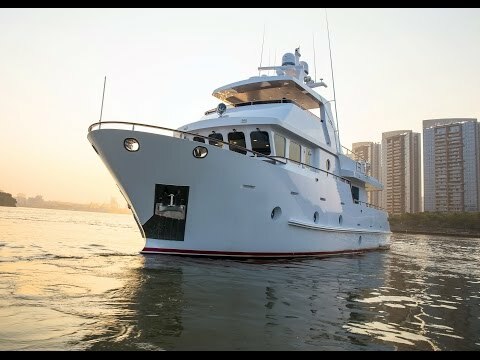 Her interior is lavishly crafted with beautiful woodwork and a variety of counter, flooring and upholstery selections, making it a real luxury explorer yacht, easily managed by a couple.